For better or for worse, gin and juniper are inexorably linked, both historically and in flavour: Juniper is the beating heart that lies deep in the soul of this most polarizing of spirits. The heady pine notes of the juniper berry deliver the, at once instantly recognizable, Christmas tree smell we associate so readily with traditional London Dry gins – a flavour profile that is loved and loathed in equal measure. However, in recent years new styles of craft gins have appeared, where the distiller is more interested in balancing the actually very complex character of the berry, and drawing upon its more subtle notes to create gins that have much wider flavour spectrums than in the past. This makes the product more appealing and indeed more versatile in its mixology. 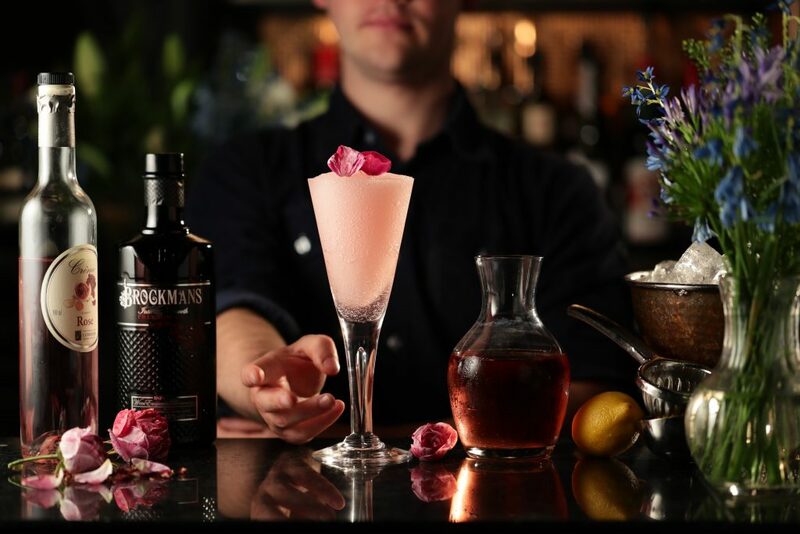 The intention though is to marry the various botanicals together without losing the juniper note altogether, without which it wouldn’t be gin in the first place: something that Brockmans has endeavoured to do with great results. Gin and juniper, an old married couple – but, what’s the story behind this ancient and remarkable herb? In the gin making process the first part is to distil a very high proof spirit before adding the juniper berries and other herbs and spices that will impart the desired flavours. Alcohol is a solvent, so it draws out essential oils and other key molecules, infusing with an array of aroma and tastes. The whole is then typically re-distilled in a process called rectification to create the finished product. The berry used in the industry is from that of the Common Juniper species, which grows widespread across Europe, Asia and North America. And, it’s this huge distribution range that gives us our first clue to the origin of this tough and prickly bush. The second clue is in the berry itself – it’s not actually a berry but a pine cone; and the juniper plant itself is indeed a member of the cypress, or Cupressaceae, family of conifer trees, which also includes the Giant Sequoia and Coastal Redwoods of North America. The diversity both in species and geography takes us back over 200 million years to a world dominated by the super-continent Pangea, when all the planet’s landmasses were glued together allowing various plants and animals the chance to spread far and wide in the absence of water barriers. The interior of this vast landmass was principally desert or savannah, but in the north hardy bushes such as juniper would not only survive but thrive. As Pangea broke up 100 million years ago juniper was carried afloat on giant continental rafts diversifying as the eons passed; and today there are over 50 different species of juniper alone – with the Common variety, juniperus communis, as the name suggests, commanding the widest range in the Northern Hemisphere. Like most cypress seed-cones, those of the juniper family have been adapted from the norm and in the case of the female cone they have fleshy, fruit-like scales which encase the actual seeds to form a soft, berry-like structure. It may be no coincidence that this kind of ‘cone’ evolved just as birds begin to appear in the fossil record; as these imitation berries still appeal to birds today and help the plant propagate. This happy coming together probably contributed to the widespread success of the species. Since time immemorial, both the wood and the berry of the juniper plant have known to have medicinal, even mystical qualities. 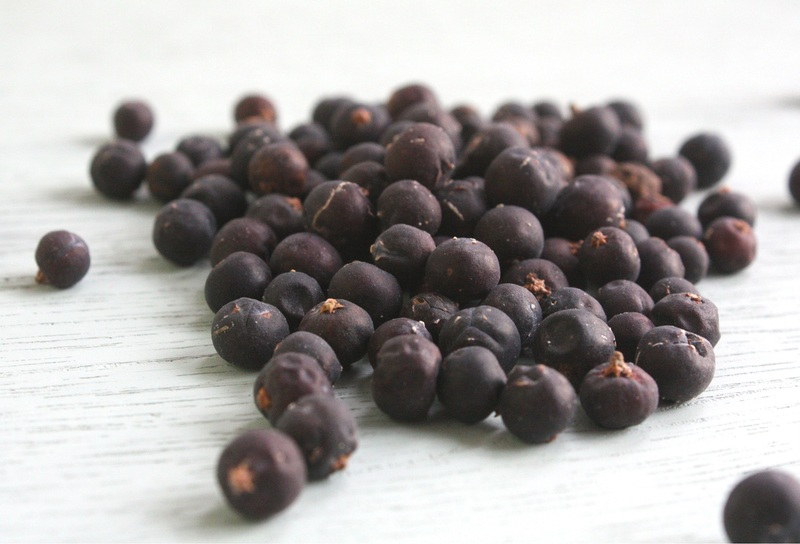 The Egyptians record using the berries to treat tapeworm infestation over 3500 years ago, and the Romans routinely used juniper to help with intestinal and stomach ailments. In medieval Europe from Scotland to Germany the wood was burned, and the smoke used in purification and cleansing rituals designed to usher in the New Year. It was also believed to ward off evil spirits and cast out witches. The dried berries were also commonly used in cooking, but it’s with alcohol most associate it. In the monastic communities of southern Europe the art of distilling a spirit from wine was well known by 1000AD; and the clear fiery moonshine they were making was known as Aqua Vitae – literally, the Water of Life. It was potent stuff, designed to either kill or cure the patient. To make it more palatable and to increase the medicinal effectiveness of the spirit, various oils and herbs were added; in particular the ubiquitous juniper berry. As spirit making moved north into Germany and Holland, the Dutch continued the practice in their drink, which they called Genever, from the Dutch word for juniper. In time genever crossed the Channel to England, where it was distilled to a higher alcohol level and the name shortened to gin. Today, juniper is still the key botanical in the gin making industry; and the very predominant flavour in the London Dry style: indeed, this remarkable plant has contributed to of one Europe’s greatest drink success stories. We at Brockmans are honoured to pick up the baton to take gin to the next level, where we enhance the complexity of the juniper with a hand-picked selection of botanicals from around the world to create a truly unique flavour profile.